Home > Home Improvement > What Window Type is Right for Me? When you need to get new windows for your home, you have many different options to consider in terms of material. Wood, vinyl and aluminum are among the most common types of materials used for replacement windows. Which one is right for you? Learn more about the pros and cons of each before making your decision. Wood windows provide a few important benefits for homeowners. These windows can enhance the look of your home, and you can paint them as needed over the years if you want to update their appearance. Wood windows also last for many years, making them a good long-term investment for homeowners. Modern wood windows offer a high amount of energy efficiency as well, which helps you lower your energy bills. Wood helps keep warm air in your home during winter and hot outdoor air from getting inside during summer. Before choosing wood windows, keep in mind that they do tend to cost more upfront for installation than other materials, such as vinyl or aluminum. Wood windows also need to be protected from water and pest damage. Painting or staining these windows can protect them from rain and other moisture, and closing up any gaps around them helps keep pests away. Vinyl windows are a good option for homeowners who have a limited budget for new windows. This material typically costs less to install than wood windows. Vinyl windows also require little to no maintenance compared to wood and other materials, which makes them easy to care for over the years. Since they’re weather-resistant, you’re also less likely to need repairs. These windows can also provide improved energy efficiency. You should note that you shouldn’t paint vinyl windows, but this material is available in a wide range of colors. In terms of life expectancy, vinyl windows usually don’t last as long as wood and aluminum. Although you might have to replace them sooner than other window materials, their lower installation costs help offset this. Aluminum windows are highly durable and can last longer than other materials. In fact, these windows can end up lasting for decades before needing to be replaced. Aluminum windows aren’t prone to developing cracks or other flaws, and they can hold up well when exposed to severe weather over the years. You can also paint aluminum windows, which allows you to get the exact tone or color you want. If you’re thinking of getting aluminum windows, you should be aware that they let more heat out of your home in winter than other materials. You can get around this problem by putting weather-stripping around your windows. If you paint your aluminum windows, you might need to repaint them eventually, since the color can fade over time. 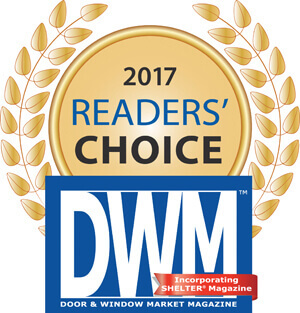 If you need help deciding on windows or if you’re ready to order new ones for your Arizona home, contact Energy Shield Window and Door Company. We carry all 3 types of windows and even some hybrid windows that are a mixture of wood and vinyl to provide you the perfect windows for the perfect price.